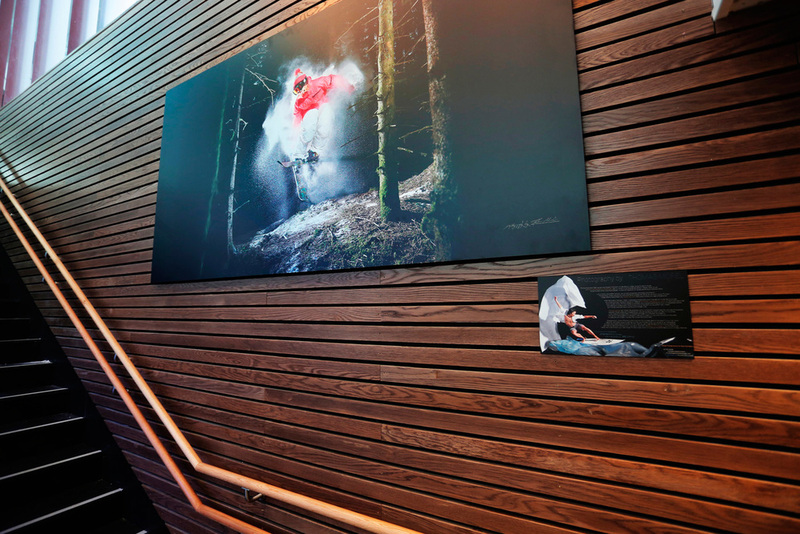 Early 2012, Thomas was asked by the newly opened hotel in the Myrkdalen Ski resort to provide 3 relatively big photo productions to be displayed for a initially short period of time in the hotels lounge area. Because of the hotels activity and location, it was natural to choose three different motives of talented ski-related athletes: Ann Kristin Flatland (Biathlon), Johanne Killi (Freestyle Twintip) and Tiril Sjåstad (freestyle twintip athlete). These three images where chosen from the largest available limited edition of Thomas' prints, printed directly on polished aluminum plates with hidden mounts. They are all limited to 15 pieces, and delivered signed and numbered, and with a story behind each image. The image of Tiril Sjåstad was later sold to Holmenkollen Scandic during the FIS Worldcup in Oslo.